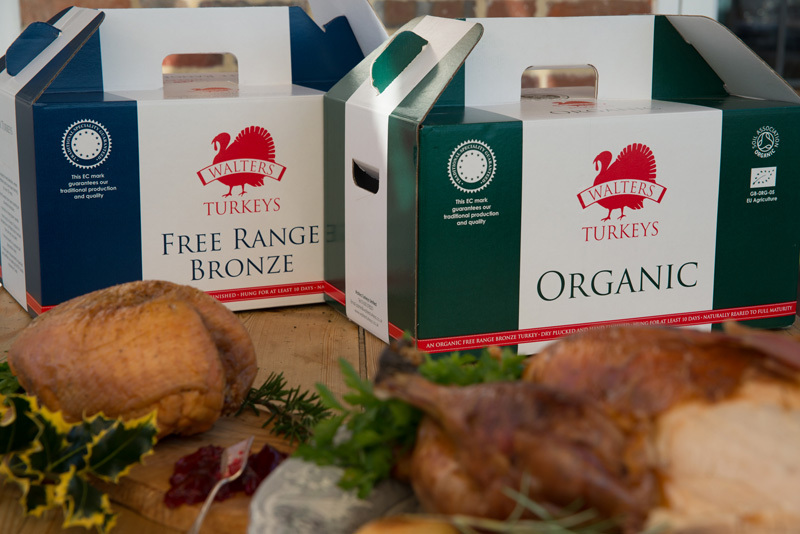 Chadwicks Bronze Turkeys are reared in open barns, cherry orchards meadows. The young chicks are out every day from 8 weeks old. They are fed on a natural balanced cereal diet rich in oats. No animal protein, or growth hormones. They are also free to forage on grass. The farmer, Edward Walters, has all the birds plucked by hand & game hung for up to 14 days they have a fuller flavour and tenderness that cant be beat. We are proud of our relationship with our farmer and the bronze turkeys produced. The response from our customers who have tasted the birds has been amazing. TOP TIP: Space is at a premium at this time of year; If you do not have space in your fridge many people may put the turkey in the cellar or garage! This leaves your turkey at the mercy of vermin such as foxes; also the weather may not be cold enough. To keep the bird cool place an ice block in the carcass of your turkey and on the outside; why not place it in the boot of your car for added security?